In the afternoon we enjoy a leisurely walk & cycle ride on the ancient city walls. The smooth & well preserved walls make for an ideal and safe cycling route around the inner historic city centre and are a charming way to enjoy the local lifestyle of Xian. Overnght in Xian. 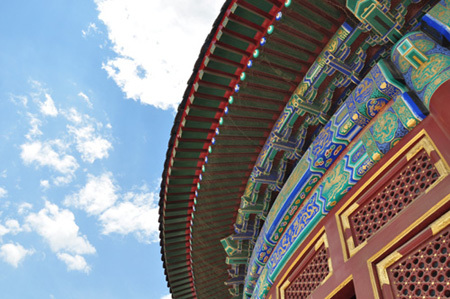 We take a morning flight to Jinan city and transfer to Qufu, birthplace of Confucius. We will then take a tour to visit the cities historical sites such as the amazing Confucius Temple which is the largest ancestral temple in China. We also visit the Mansion and Forest of Confucius. In the evening we transfer to Taian city, which is the gateway to Tai Shan Mountain. Overnight in Taian. 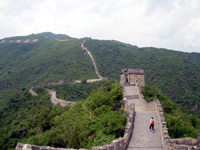 Today we visit Tai Shan, one of the five sacred Taoist peaks in China, and one of the most climbed mountains on earth. With the main peak towering 1,545 meters above sea level, it was the location where Emperors of various dynasties held grand sacrificial ceremonies. We drive midway up the mountain to the Gate to Heaven. We then have a choice of either climbing up the mountain on foot, or taking a cable car to the summit (fee is not included). 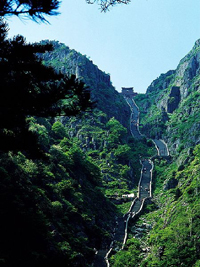 The main scenic spots on the mountain include Heavenly Street, Five Pine Pavillion, Qingdi Palace & Yuhuangding Peak etc. Upon return, you are met and transferred to Jinan city. Overnight in Jinan city. After breakfast we fly to Chengdu, where you will be met by your guide upon arrival.We will then start our tour to Leshan mountain to visit the famous Giant Buddha Statue, Lingyun Temple and Haishi Cave. Todays evening meal is a delicious sellection of traditional Sichuan dishes. Overnight in Chengdu. Today we will visit the Giant Panda Breeding Research Base. 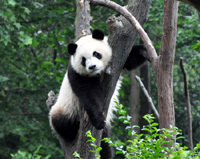 The research base is the best place to see Chengdu's most famous residents and is definately a tour highlight. 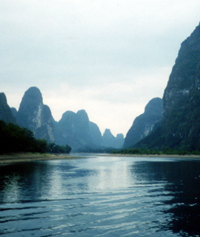 After the tour we transfer to the airport for your flight to the beautiful city of Guilin. After breakfast, we take an hour drive to Zhujiang Dock, where we embark on our boat for a cruise down the picturesque Li River. Enjoy the unique and beautiful mountain scenery often depicted in chinese paintings, including rural villages and tranquil rice paddies alongside the river banks. Hopefully we will also see some native wildlife and water buffalo wallowing in the river. Lunch will be served on board and we disembark in Yangshuo. Yangshuo is an ancient town that is famous for its beautiful scenery and is a favourite destination for many of our travellers. Overnight in Yangshuo. Time to explore the quaint town of Yangshuo often regarded as having the best scenery in China. For those who wish to participate, today's optional activities include Tai Chi, and a wonderful bicycle ride into the countryside to view the rice paddies and limestone mountains. Drive back to Guilin in the late afternoon and we take a tour to the delightful Fubo Hill or Elephant Trunk Hill (depends on local situation). Later we visit Reed Flute Cave, a vast underground cavern of exotic rock formations. After breakfast we take a flight to Shanghai where our guide will meet you upon arrival and check into your hotel. We leave today free for you to explore this cosmopolitan city as your leisure. You will be met at your hotel and taken by private car to the Maglev train station in Shanghai for your transfer to the airport. With the assistance of the local guide, board the futuristic and super fast Maglev train with a top speed of 267mph. For travellers who booked Hong Kong extension, we leave Mainland China today. Shanghai extensions can be arranged, either as a free day, or we can arrange a guided tour extension, see details below. Contact us for details at time of booking. Option 1. Zhujiajiao Water Village: 'the Venice of China', unspoiled for hundreds of years. Tour departs from Shanghai (overnight stay in Shanghai is required). Option 2. Suzhou, Hangzhou or both: For travellers who are interested in seeing more famous Chinese gardens. Tour departs from Shanghai (overnight stay required). You are transferred to airport for flight to Hong Kong. Upon arrival, transfer to moderate deluxe or deluxe hotel. The rest of day is free at leisure. You are transferred to airport for flight home. *supplement of £60pp apply for April & October. Our Accommodation: We take a great deal of time and effort to source our hotel selection in each city for our travellers enjoyment and our hotels are good 4 star & 5 star rating. We also monitor our established hotel selection continually based upon each of our customers feedback received over the years. Please visit our Hotel page for full accommodation details. Tour Itinerary Facts: Our tour is arranged on a small group basis average 10 people per group, as we feel this gives our travellers more flexibility and enjoyment. By reducing the group size our experienced local guides are able to get to know you all individually and show you the true beauty of China.